The number of foreign tourists visiting Peru each year has increased dramatically during the last 15 years, totaling more than three million in 2014 and largely contributing to the economic growth of this South American country. Machu Picchu has obviously been a significant long-term attraction, while the development of other important and spectacular sites throughout the country, along with an increase in the overall standards of the tourism infrastructure in Peru, has helped ensure a consistent rise in foreign arrivals. Colca Valley, Paracas National Reserve, Titicaca National Reserve, Santa Catalina Monastery, and Nazca Lines are among the other popular attractions in the country. Since Peru is a developing country, tourism plays a key role in the advancement and independence of its national economy. As a result, taking a South American vacation to Peru and dining out, visiting local shops, and staying at local establishments can help improve the local and national economy. As you can see from the table below, the number of foreign tourists visiting Peru each year has grown from less than half a million in 1995 to over three million in 2013. The figures represent the total number of international tourists each year, which in this case includes foreign tourists and Peruvian tourists residing abroad. Data for the following has been compiled through a variety of resources including the World Bank data on international tourism. According to the United Nations World Tourism Organization (UNWTO), “The Americas welcomed 163 million international tourists in 2012, up 7 million (+5%) on the previous year.” In South America, Venezuela (+19%), Chile (+13%), Ecuador (+11%), Paraguay (+11%) and Peru (+10%) all reported double-digit growth. In terms of international tourist arrivals, Peru was the fourth most popular country in South America in 2012, behind Brazil (5.7 million), Argentina (5.6 million), and Chile (3.6 million). 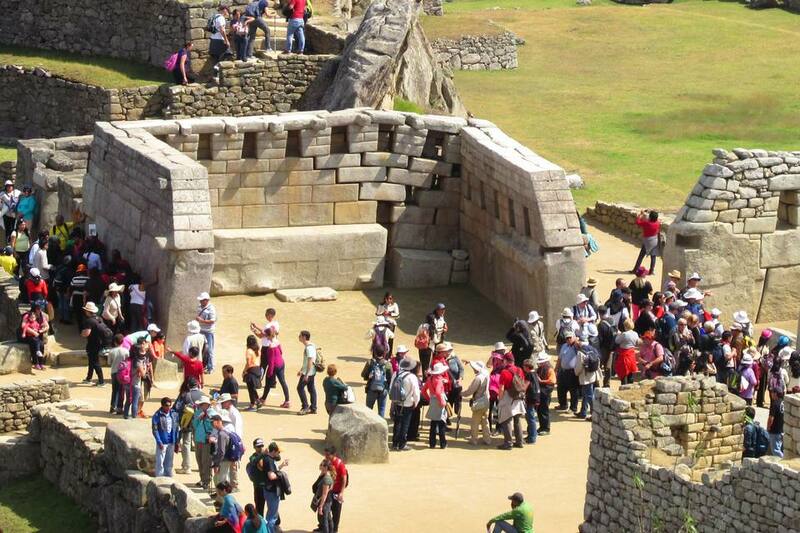 Peru reached three million visitors for the first time in 2013 and continued to increase in subsequent. The Ministry of Foreign Trade and Tourism of Peru (MINCETUR) hopes to receive over five million foreign tourists in 2021. The long-term plan aims to make tourism the second largest source of foreign currency in Peru (it is currently the third), generating a projected $6,852 million in expenditures by international inbound visitors and approximately 1.3 million jobs in Peru (in 2011, Peru’s international tourism receipts totaled $2,912 million). Tourism—along with infrastructure projects, private investments, and international loans—is one of the largest contributors to the Peruvian economy's continued growth throughout the 2010 to 2020 decade. According to MINCETUR, improved economic conditions will only continue to propel the tourism industry, which in term will continue to bolster the Peruvian economy. If you're visiting Peru, it's important that you support local businesses over international chains and agencies. Paying for a local-operated tour of the Amazon, eating out at mom-and-pop restaurants in cities like Lima, and renting a room from a local instead of a chain hotel all go a long way in helping boost and support the Peruvian economy as a tourist. What Are Some Tips and Tricks For Backpackers in Peru?